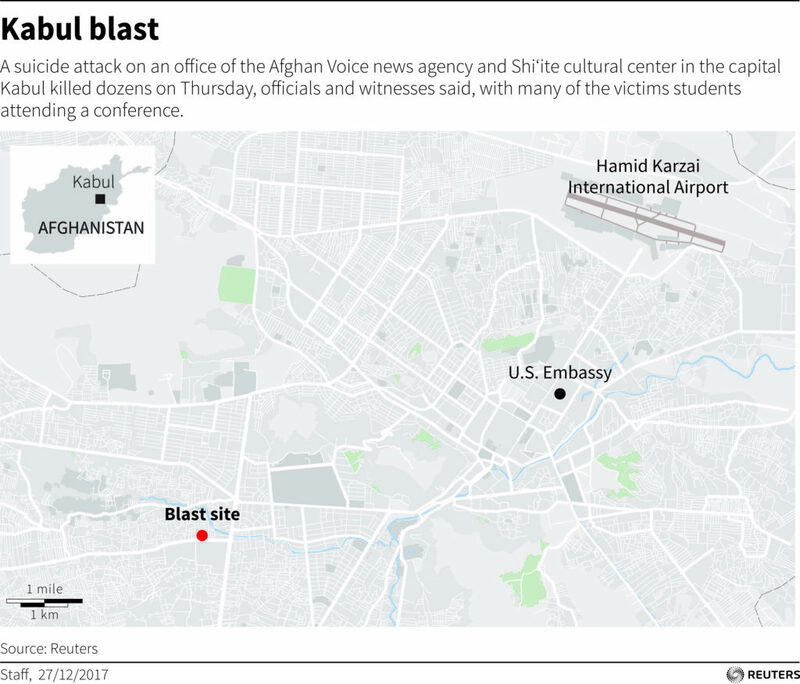 More than 40 people were killed and dozens of others wounded on Thursday in a series of explosions that targeted a Shiite cultural center in the Afghan capital of Kabul, Afghan officials said. 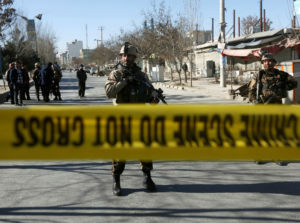 The deadly assault began this morning when a suicide bomber set off an explosive vest at the Tebyan cultural center, Sadiq Muradi, Kabul’s deputy police chief, said, according to The New York Times. Several witnesses have told media oulets that people had gathered for a morning panel discussion on the anniversary of the Soviet invasion in Afghanistan. Officials said two other nearby devices were detonated after the initial explosion. Islamic State militants have since claimed responsibility for this morning’s attacks. Of the people killed, four were women and two children, said Waheed Majrooh, a spokesman for the ministry of public health. At least 84 others were wounded, most of them being treated for burns. Officials said most of the casualties appeared to have come from the first explosion. As Reuters pointed out, the Islamic State in Khorasan, the local ISIS affiliate in Afghanistan, has said it’s been behind several attacks against Shiites in the country. The United Nations has documented a growing number of sectarian attacks on Shiite targets since January 2016, killing more than 250 Shiites. In October, ISIS claimed responsibility for twin attacks on Shiite mosques in Afghanistan that killed nearly 60 people.